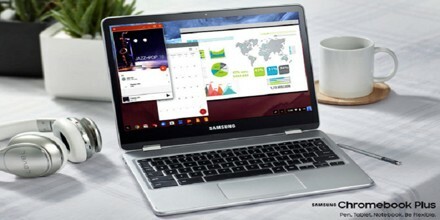 Samsung announced a new pair of Chrome OS machines, the Chromebook Plus and the Chromebook Pro, which Google says were designed to better accommodate Android apps from the Google Play store. 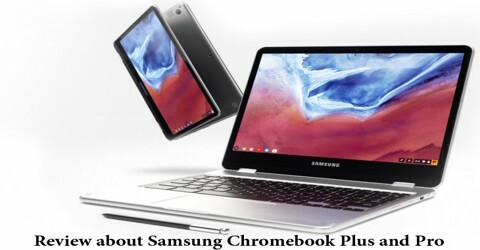 Samsung’s Chromebook Plus is the first of a new generation of Chromebooks running Chrome OS, and it’s shipping next week for $449. It’s one of a pair of Chromebooks that Samsung is releasing in the first half of the year. The other is the Chromebook Pro, coming in April (2017) and costs $100 more thanks to a more powerful Intel processor. What that means is they’re both convertibles, or “2-in-1s,” so their displays can flip around 360 degrees and become a sort of makeshift Android hybrid tablet. On the spec sheet, both machines seem fairly high-end. They each have 12.3-inch displays with taller, 3:2 aspect ratios — so they can fit a little bit more of a webpage on screen — and sharp 2400 x 1600 resolutions. The main difference comes down to processing power. Both laptops feature 4GB of RAM and 32GB of storage, which is plenty for a Chromebook, but the Plus runs on an unspecified ARM chip that’s generally meant for mobile devices (likely from Rockchip) while the Pro is powered by a last-gen Intel Core m3 chip, which is mediocre for a Windows laptop, but should be more than enough to handle Chrome OS. It’s not an especially beautiful device; it’s a little ordinary, in fact. The edges of the keyboard deck and screen are rounded in such a way that when it’s closed, it looks like a thin little sandwich. It won’t win any design awards, but at least it’s simple and predictable. The Plus is relatively expensive, but it justifies almost all of its asking price. The metal body is sturdy, yet light, with a beautiful, high-resolution screen that’s capable of getting almost painfully bright. That screen rotates all the way around the back on a couple of reliably firm hinges, so you can set the screen at any angle or turn it around for a tablet mode. This is a Chromebook, it does not aspire to impress you with its looks. It simply is good at what it is intended to be: a thin, well-built machine for showing user Chrome browser tabs. There are two USB Type-C ports — user can charge on either side — and they willl need adapters (which don’t come in the box) for using external monitors or more traditional USB devices. There’s also a microSD card slot for expanded storage if the onboard 32GB isn’t enough for user. 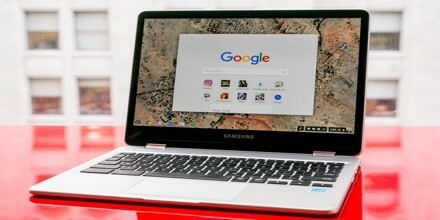 This new hybrid system that Google is creating is not a full merging of the two operating systems, which is starting to look less realistic and less desirable by the day, but it could provide all the benefits people dream of when they ask Google to merge Chrome OS and Android. The new Chromebook Pro is the convertible laptop that’s supposed to be the first true manifestation of that dream. It’s a $549, Intel-based device coming out in April 2017. And maybe by then, it will be the dream made real. But because its software is still in beta right now, it’s not a dream at all. It’s the other thing. 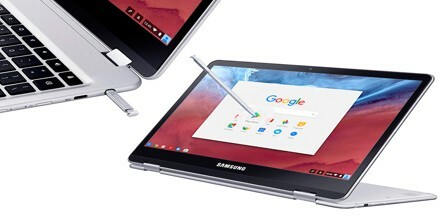 It’s clear Samsung’s design for the Chromebook Pro centers around portability. Weighing in at a scant 2.38 pounds (1.08kg), this all-metal Chromebook is the lightest device in its class and a featherweight compared to most laptops we’ve ever used. While it’s lighter than the HP Chromebook 13, it can’t win the thinnest award with an 0.55-inch high frame that’s just five-hundredths of an inch thicker. 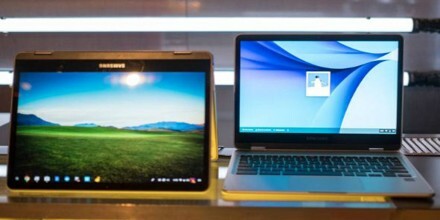 Unlike many of Samsung’s other laptops, the Pro features a 3:2 display that user would more regularly see on tablets. User get more vertical pixels that makes it easier to view photos in fullscreen and read web pages at a glance, especially while holding it in a portrait orientation. Unfortunately, this squarer aspect ratio doesn’t jive with wide-screen video in 16:9 and 21:9 aspect ratios.